Explanation: The Mars Global Surveyor spacecraft has returned another close-up of the Cydonia region on Mars. 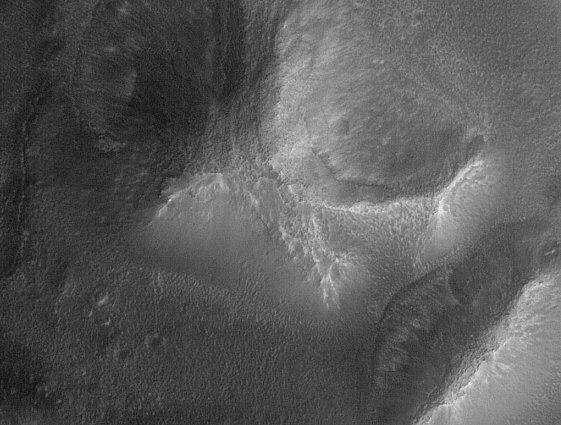 Orbiting over clear Martian skies at a range of about 200 miles, the Mars Orbiter Camera looked down on features known as the "City" on Mars and produced a high resolution image covering a swath around 1.5 by 15 miles at a pixel size of about 8.2 feet. 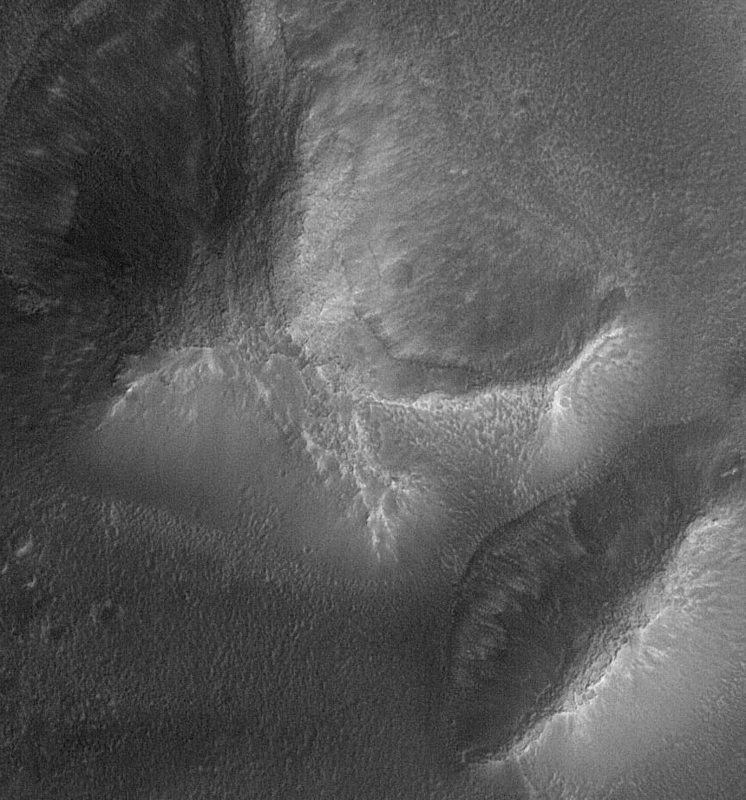 This cropped portion of the processed image shows an area approximately 1.5 miles wide. Heavily weathered hills and pocked surfaces suggest the erosion of layers of the ancient Martian crust. Tomorrow's picture: Viking, where are you?